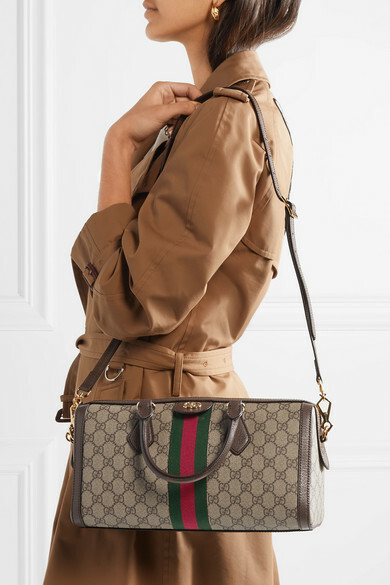 Since its Resort '18 debut, Gucci's 'Ophidia' family has seen a wide number of variations - everything from shoulder bags to pouches and now this tote. 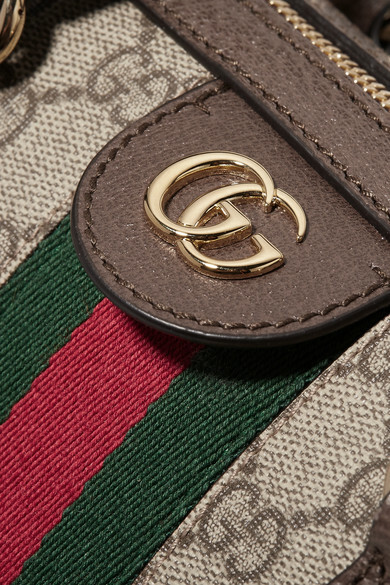 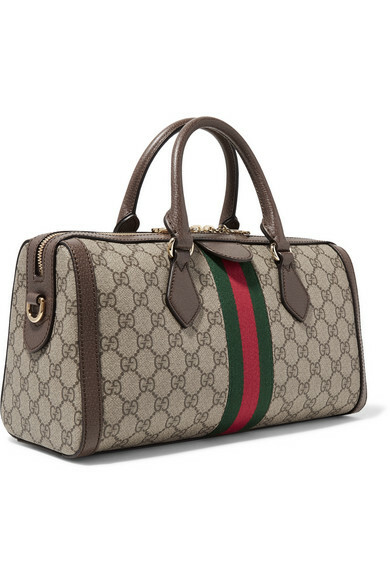 It's been made in Italy from printed coated-canvas, trimmed with dark-brown textured-leather and detailed with the label's signature striped webbing and gold 'GG' hardware. 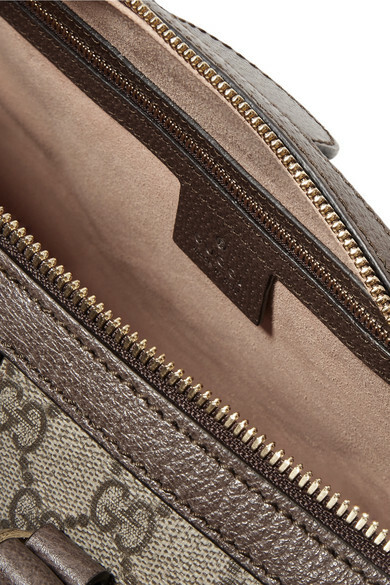 The suede-lined interior boasts enough room for your daily essentials and has a zipped and slip pocket for keeping smaller items secure. 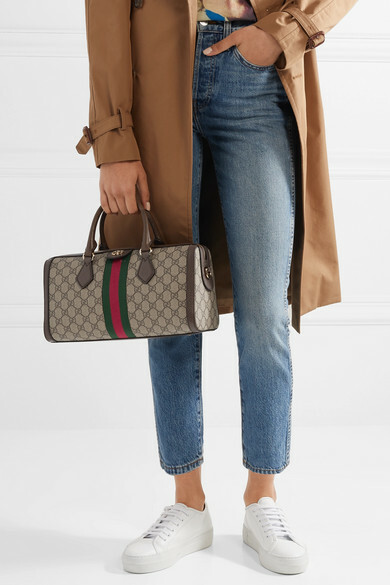 Shown here with: RE/DONE Jeans, Gucci T-shirt, Gucci Trench coat, Common Projects Sneakers.